1st Gear:Rolling in cheddar, Ford says it will pay off $3 billion in debt, part of the plan from CEO Alan Mulally (shown here in sharing-is-caring mode) to pay off the credit card that carried it through the Carpocalypse. White-collar workers at the Detroit Three may do the same — some could get bonuses equal to 50% of their pay. 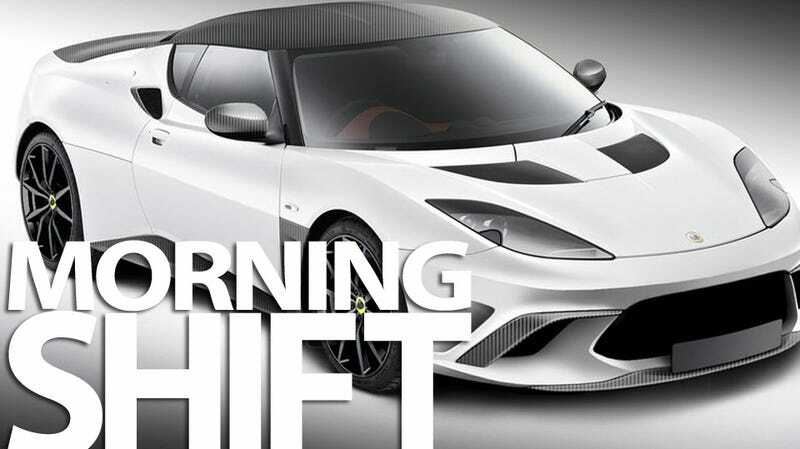 2nd Gear: Worried that European fans were getting too excited about the possibility of a facelifted Evora, Lotus tamped down those crazy ideas by sharing its big Geneva auto show reveal — a Mansory edition Evora. Also, issue two of Lotus magazine is now available. Actual new models? Still several years out. 3rd Gear:Tesla Motors opened its first dealership in Washington, D.C., on Thursday, marking the occasion with this Amerigasm'd Roadster and supplying a rewritten Pledge of Allegiance. The new showroom is on K Street, the traditional place for businesses seeking favors from the government. 5th Gear: Fans of the carburetor will be disappointed by more confirmation that fuel-injection is coming to NASCAR in 2012 with the help of McLaren Automotive. When they said "Car of Tomorrow" they meant "The Car of Tomorrow if you were in a time machine and went back to 1968." 6th Gear: Though we're missing the DeLorean from the Arthur remake, the new trailer does show him in an awesome Batmobile. Also, who isn't attracted to Ben Affleck's wife? Why Is There A DeLorean In The Arthur Remake?